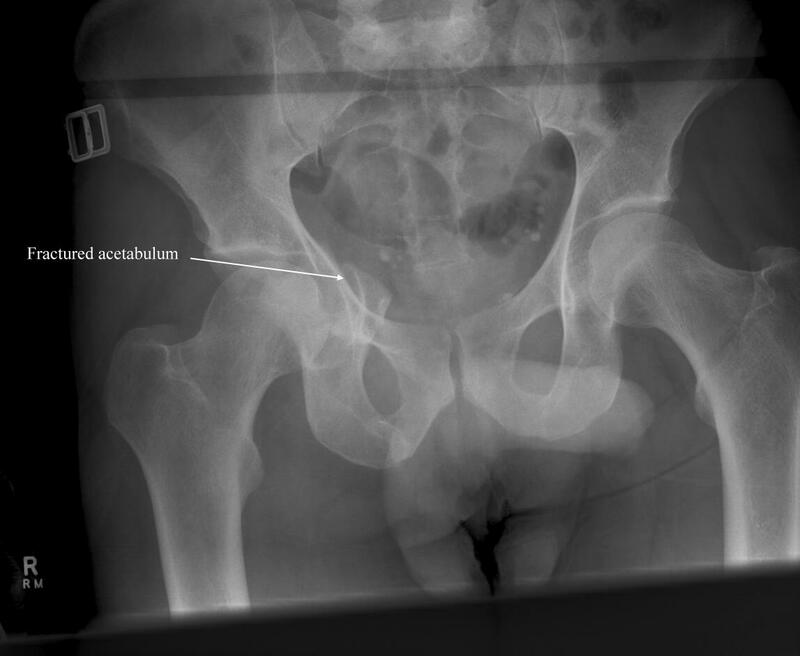 This pathway provides guidance on imaging adult patients with suspected hip fracture. 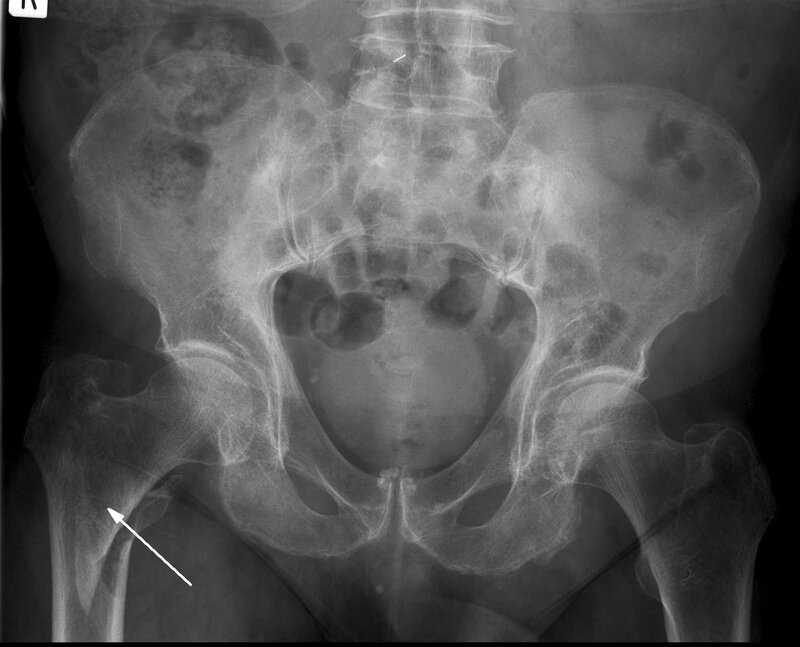 Image 1 (Plain Radiograph): Fractured left superior pubic ramus (arrow). Image 2 (Plain Radiograph): Fractured right acetabulum (arrow). Image 3 (Plain Radiograph): Inter-trochanteric fracture of the right hip (arrow). 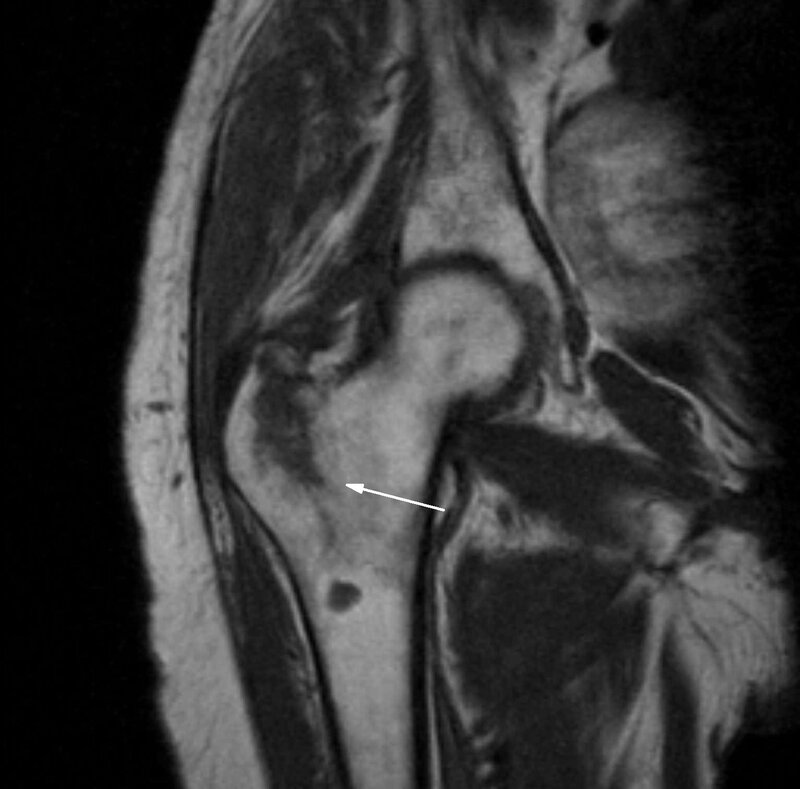 Image 4 (Magnetic Resonance Imaging): Undisplaced inter-trochanteric fracture of the right hip (Arrow). 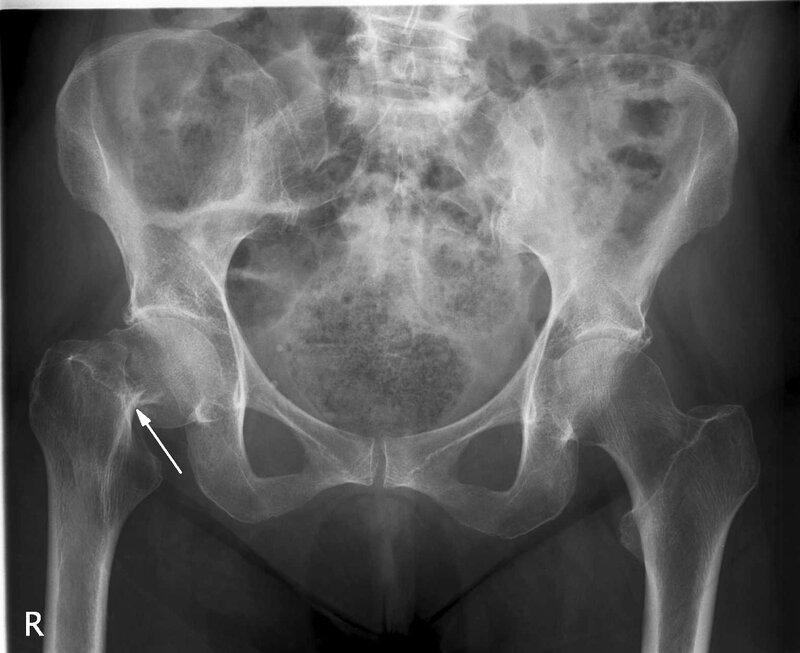 Image 5 (Plain Radiograph): Sub-capital fracture of the right hip (arrow).